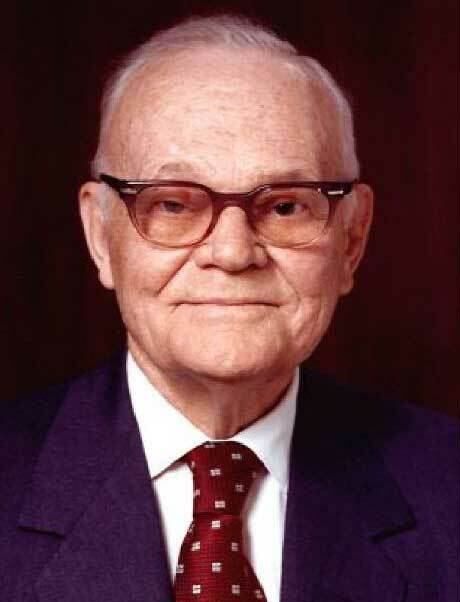 "Webster says the verb convert means 'to turn from one belief or course to another,' that conversion is 'a spiritual and moral change attending a change of belief with conviction.' 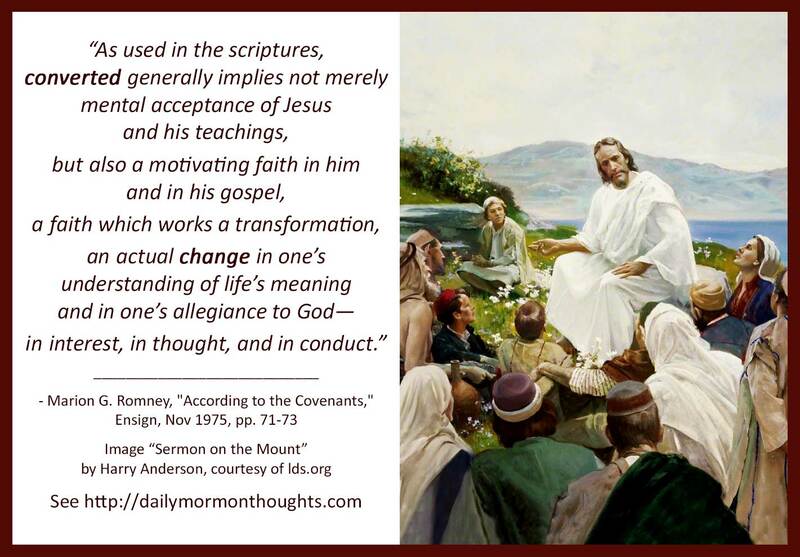 As used in the scriptures, converted generally implies not merely mental acceptance of Jesus and his teachings, but also a motivating faith in him and in his gospel, a faith which works a transformation, an actual change in one's understanding of life's meaning and in one's allegiance to God—in interest, in thought, and in conduct. While conversion may be accomplished in stages, one is not really converted in the full sense of the term unless and until he is at heart a new person. Born again is the scriptural term. "In one who is wholly converted, desire for things inimical to the gospel of Jesus Christ has actually died, and substituted therefor is a love of God, with a fixed and controlling determination to keep his commandments. Paul told the Romans that such a one would walk in newness of life. (Rom. 6:3-4.)" President Romney was a great student of the scriptures, and often supported his messages with abundant analysis and examples. In this case, he helps explain the concept of conversion based on his study and understanding. He helps us see that conversion involves more than a superficial acknowledgement or acceptance; it means a deep-rooted change. It means a rebirth, a changed heart. I thought the final paragraph helped my understanding as well. True conversion means that we completely lose any desire for things in conflict with the gospel of Jesus Christ. Instead, those desires are replaced with a greater love of God and a desire to obey His commandments. It's a "newness of life." Labels: change of heart, conversion, faith, obedience, Romney Marion G.